Construction-grade Cylinders - The Grand L40's construction-grade cylinders are made to last. Their outstanding sealing performance makes them strong and exceptionally durable. In addition, the high-quality chrome plating of the cylinder rods achieves superior rust protection. 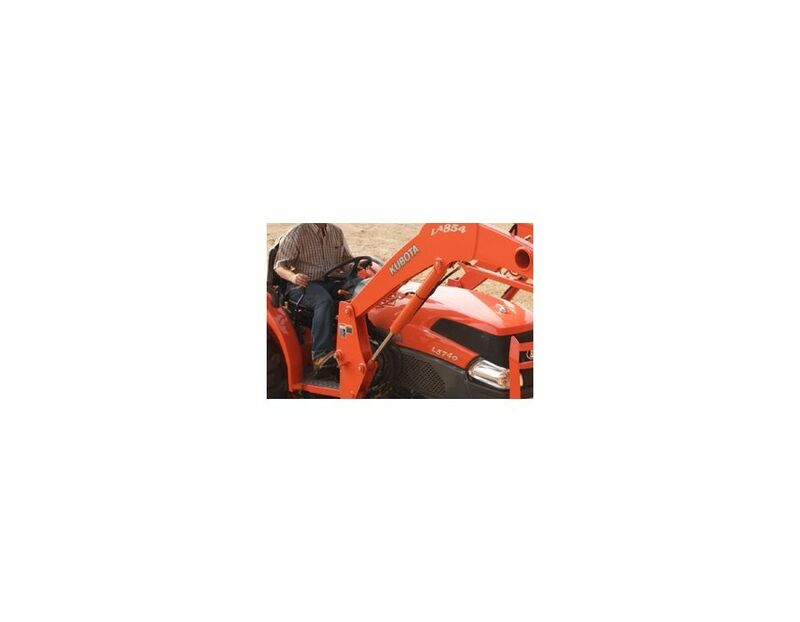 Front Loader Valve (Standard on Grand L40) - Because the front loader valve is integrated into the tractor, instead of the loader, you can quickly and easily attach the front loader and other frontmounted implements. 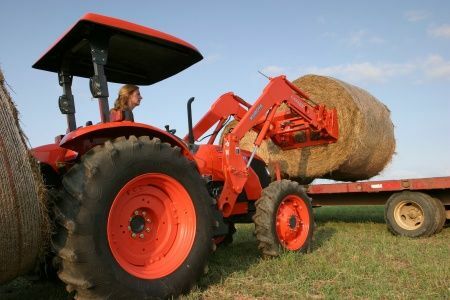 Easy Operation - When the front loaders work hard, you don’t have to. 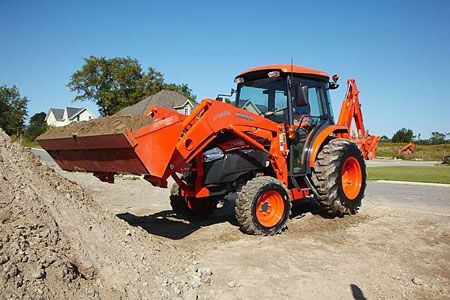 The easy motion of the single lever controls all front loader operations, even allowing simultaneous operation of the boom and bucket. 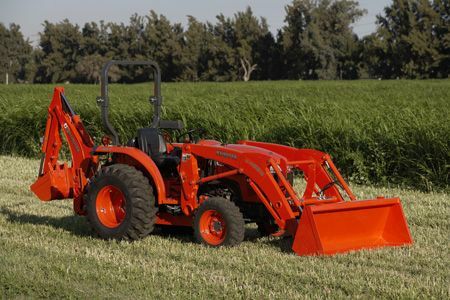 If the loader’s detached, the connecting valve remains mounted to the tractor for use with other implements, for greater convenience and efficiency. 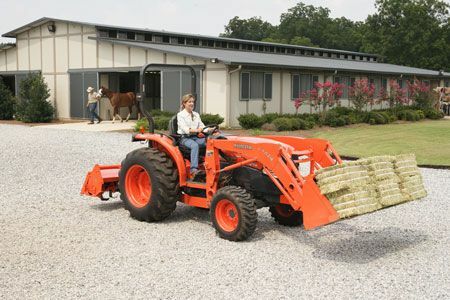 Quick Attach/Detach Loader - This convenient system saves valuable time by letting you attach and detach the loader from the tractor. 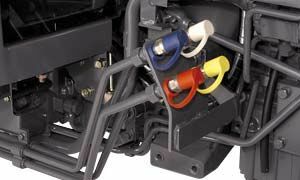 The mounting pins and hose couplers can be removed from the operator’s seat, without tools. 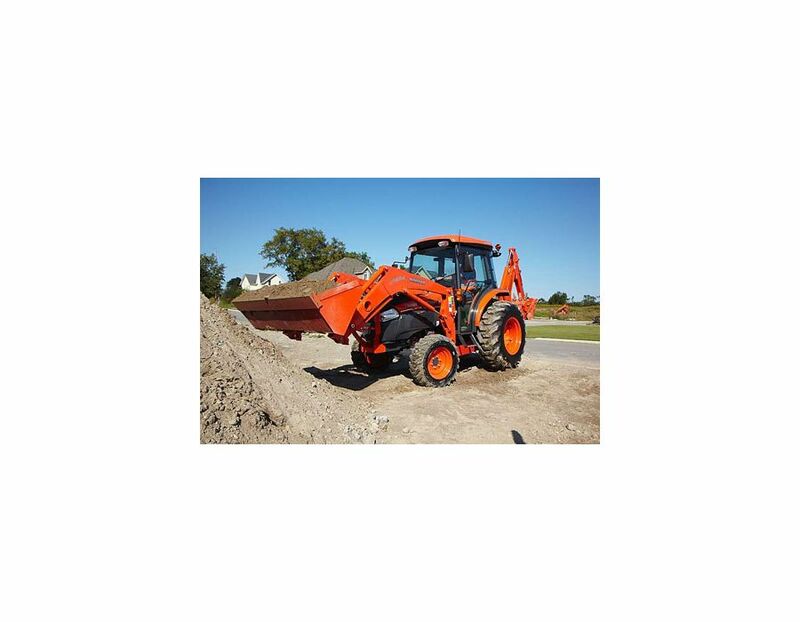 Third Function Valve (Optional) - To broaden the scope and capabilities of your front loader applications, the Grand L40 is available with a third function valve to operate attachments such as a 4 in 1 bucket. 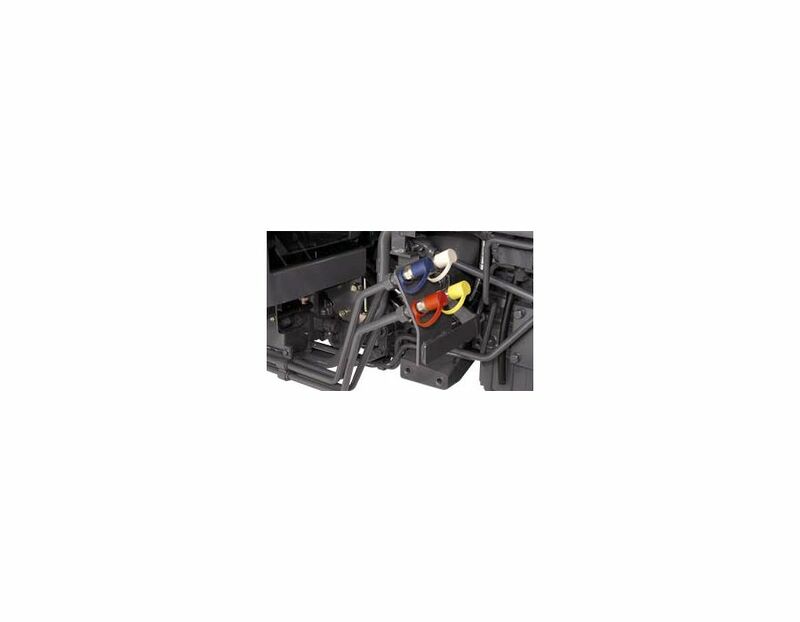 2-Lever Quick Coupler (Optional) - The front loader can also be used with optional quick coupler attachments, such as buckets, pallet forks and bale spears. Simple to attach and detach, these handy options don’t require the use of tools, saving time and effort. 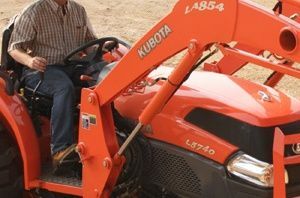 The LA854 Kubota L Series Loader is available at Kooy Brothers, located at 1919 Wilson Ave., Toronto, Ontario.